These are the cutest little Easter treats! Perfect for kids and grown ups, you can decorate them however you like. 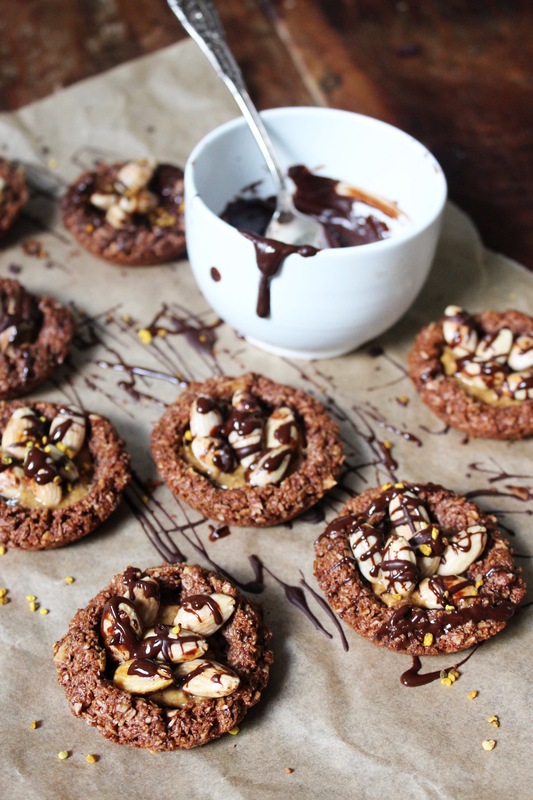 The nests are made of a delectable mixture of coconut and almonds bound together with a creamy chocolate sauce, then they’re baked and filled with almond butter and roasted almonds and drizzled with melted chocolate. As Easter treats go, these little clusters are bursting with nutritious bounty- they’re packed with Vitamin E, magnesium, protein, healthy fats and antioxidants and they’ll satisfy all your festive cravings. Add the desiccated coconut and flaked almonds to your food processor and pulse until the flaked almonds are broken up into little chunks, don’t blend too much or you’ll get a flour. 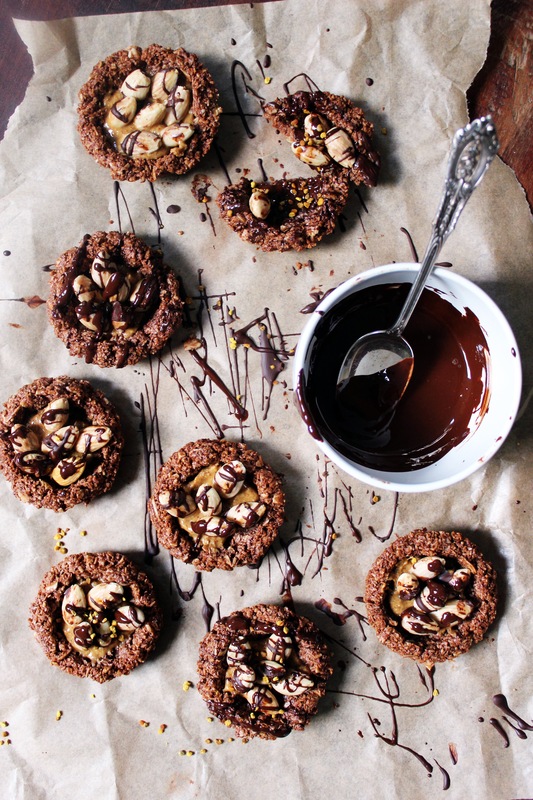 In a large bowl, whisk together the cacao powder, maple syrup, almond butter and melted coconut oil until smooth. Add the dry coconut almond mixture to the chocolate mixture and mix well. Grease a cupcake tin with a little coconut oil. Press some of the nest mixture very tightly into the bottom of one section, then press some more firmly around the sides to build up the edges. Make sure they’re tight and compact so they hold together when cooked. Repeat with the other 9 nests. Place the cupcake tray into the oven and bake for 10 minutes until crisp. Take out the tray and set it aside to cool. Pop the blanched almonds in the oven at 180’C for 7-8 minutes until golden. While they’re in, melt your chocolate. When the almonds are done, the nests should be cool enough to remove from the tin. Use a butter knife to ease each nest out of the tray, they should come out really easily. Add a little bit of almond butter to the centre of each nest, then arrange your almonds inside. Drizzle with melted chocolate and pop them in the fridge for a few minutes to set before serving. Yum, yum, yum! Almonds, chocolate and coconut = bliss!